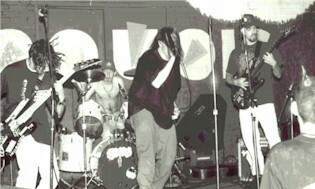 Suppression was formed by Jason and Hog from Daily Grind in 1992. They asked Dave Craft to join as guitarist. They recorded a reh/demo just for themselves in late 1992. A cover was released for it (I cant find it right now). 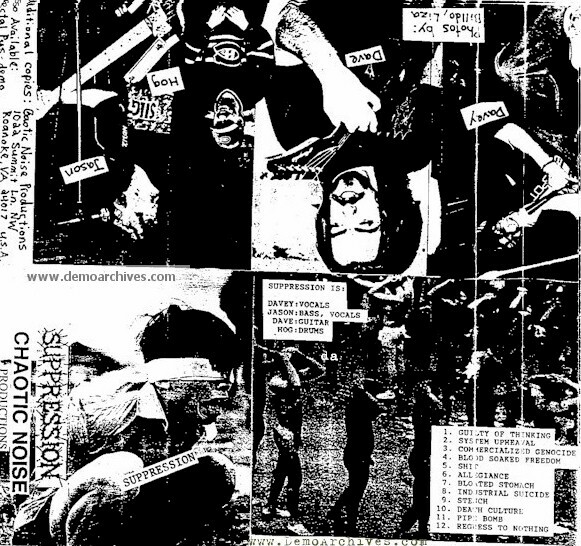 They decided that this demo was garbage and focused more on the aggressiveness and brutality of their song writing. 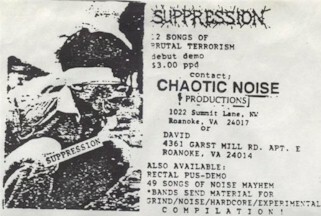 The trio recorded an official demo in 1993 which was released on Jasons label, Chaotic Noise Productions. This demo gained the attention of numerous labels throughout the world. Fetus Records released their debut recording. Members of Suppression were also in Rectal Pus, Uller and Mortified. 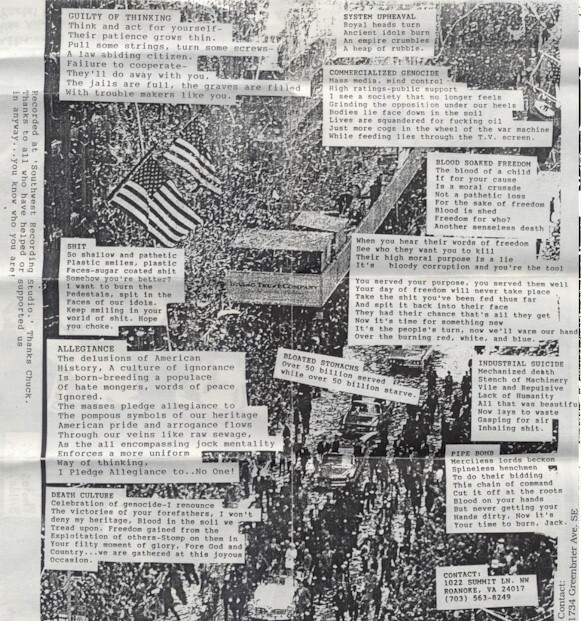 Xeroxed cover which folded out to reveal more. Lyrics were on the other side. 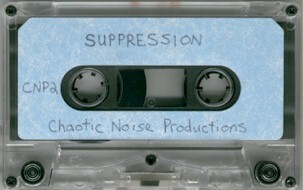 First batch was recorded on studio tapes with a blue sticker. Later on they were recorded on a regular TDK tape.